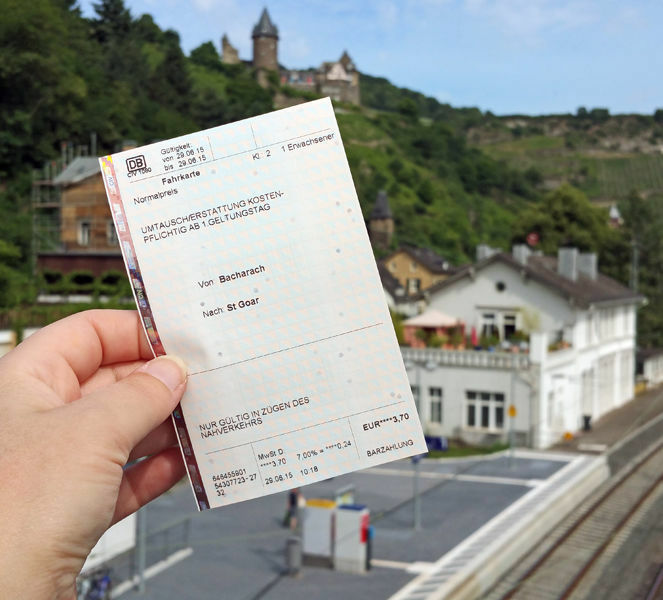 You *could* use up a $60 rail pass day to cover one or two hops between towns on the Rhine...or pay just a few euros for a point-to-point ticket. Stretch a flexipass by paying out of pocket for shorter trips. If you plan to ride the train on, say, eight different days, but two of those days are very short trips, you may save money by getting a six-day pass and buying point-to-point tickets at the station on your short-haul days. Use your flexipass only for those travel days that involve long hauls or several trips. To determine whether a trip is a good use of a travel day, divide the cost of your pass by the number of travel days (or look at what it costs to add a day onto the pass's base price). If the pass you're considering costs about $60 per travel day, it makes no sense to use one of your days for a trip that would otherwise cost $10. One rail pass is usually better than two. To cover a multiple-country trip, it's almost always cheaper to buy one Global Pass with lots of travel days than to buy several one-country passes with a few high-cost travel days per pass. If you travel over a border using separate rail passes, you'll use up a day of each pass. Understand your bonuses. Some boat, bus, and other non-train rides — called "bonuses" — are either covered or discounted with any rail pass that covers that country. A bonus trip is no different from a train trip: To use your flexipass to cover the cost of a bonus boat or bus, you must have filled that day's date as a travel day on your pass. Trips offered only at a discount (rather than those that are completely covered by the pass) usually don't cost you a flexipass travel day, but you must use the discount within your pass's validity period. With careful juggling, a shorter pass can cover a longer trip. For example, if you're on a one-month trip, you don't necessarily need a one-month pass. You may be able to get by with a three-week continuous pass by starting and ending your trip in a city where you'd like to stay for several days or in a country not covered by your pass. It can make sense to buy a longer pass for a shorter trip. One long, expensive train ride at the end of a 25-day trip can justify jumping from a three-week continuous rail pass to a one-month pass (though I'd also consider doing that long leg by plane).